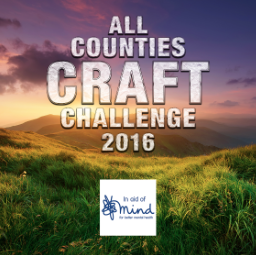 This year he's taken on a new venture, to hold crafty workshops in each of the 92 counties that make up the UK and raise monies for Mind a mental health charity based in the UK. On 7th May he's coming to Stoneleigh, Warwickshire on Saturday 7th May to run a mixed media class. It's going to be a great day in aid of a great cause. Places have been limited to 20 so if you'd like to come along and join John, and myself for a fun day of crafting and crafty shopping click the link below to book and pay for your place. John will provide most of the supplies needed to make the project. Hi Clare, This sounds amazing !! I would love to attend these workshops, sadly I can't, but the lucky peeps that attend will be in for a fantastic 'treat'. I was sorry when John left C&C, hopefully he is getting lots of money for the charities. I too was sorry when John left C&C he is so talented , i hope he does well with his fund raising and workshops.